Espresso, even the word itself can make your heart crave to be indulged deep within the aromatic taste of it. For those who haven't experienced the delight of an espresso, you are missing the most important thing in life! Espresso is a type of Italian coffee that is well known due to its rich taste and most importantly the perfectly fitted thick golden cream on top of it, known as crema. This is the one coffee which has captured the heart of many due to its unfading taste for decades. Some might argue, what is the point of talking about the famous Italian espresso when visiting Italy is not currently in their plans? Well, there is no need for concern at all…you can always taste the best espresso ever made at the comfort of your own home with a single purchase of the Smart Unospresso® machine and renown pods. while yearning and longing for an aromatic rich cup of Unospresso without doing anything about it would never do you any good. It is never any easier and you are just a phone call away from having the best espresso at the tips of your fingers; an espresso which will make you want to brag about to all your family and friends. Each single serve will give you the same experience of having the original Italian made espresso being freshly prepared right in the comfort of your indoors, and trust me, if you are a coffee lover then this will be just making your dream come true. Live your dream and don't hesitate, Unospresso® is brewed to deliver your personal coffee satisfaction. To that end, our processes are labor intensive and we double check each progress every step of the way. We evaluate the quality and consistency of each and every roast and each and every shipment right to the end, to every drop of freshly brewed espresso in the cup, in a manner which you have never known before. - Made in Italy in compliance with European Standards. Unospresso Smart Plus is beautifully small in design, available in many colors, easy and practical to use. 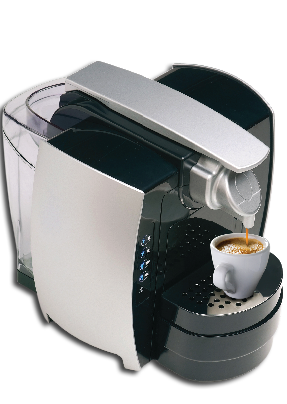 It's designed with automatic functions that guarantee a perfect preparation of your favorite cup of Unospresso anytime you wish. - Auto eject of pods. 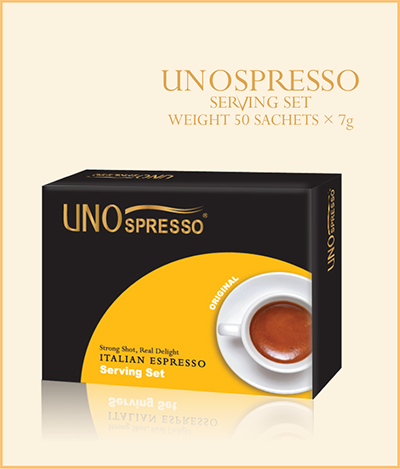 Our primary mission at Unospresso® is to provide the ultimate espresso experience for our clients. We realize that to fully achieve this mission, certain elements and services need to be provided before, during and after sales. 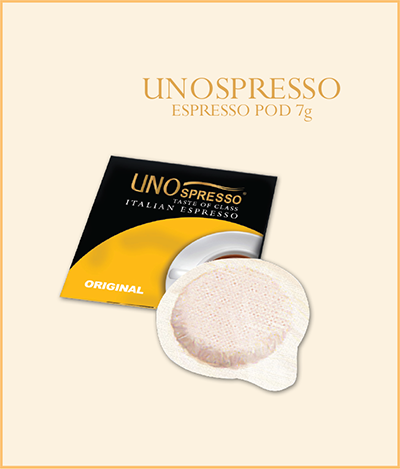 Our mission begins by providing experienced consultation on which Unospresso® Smart machine for you to use based on your favored operation method and which type of Unospresso® pods packaging to choose. A member of our expert team of technicians will accompany the free delivery of machine and pods to carry out an introductory session about us, espresso and a familiarization session on using the Smart machines. The free delivery service is maintained for all future Unospresso pods ordered in future in a quick and efficient response time. Upon delivery of the Smart machines, we setup a machine "data card" to follow up its history, usage trends and maintenance cycles. We pride in providing free maintenance and parts-cleaning to the Smart machines according to each individual machine maintenance cycle and give a full year guarantee using nothing other than authentic Italian spare parts specifically for the Smart machines. 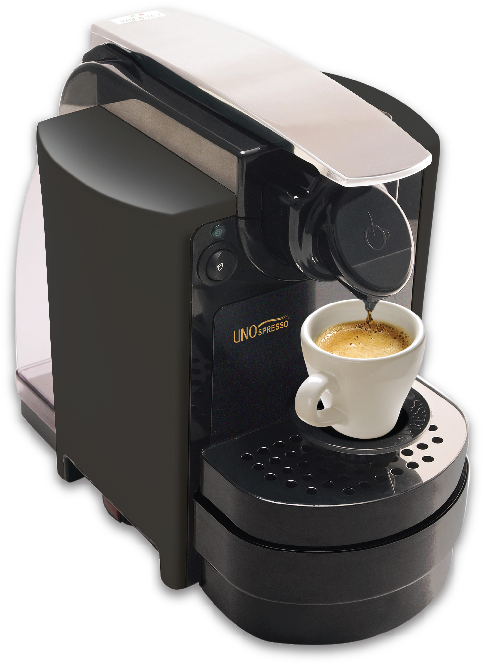 Unospresso® knows that completing its mission will not be completely met without maintaining the delightful espresso experience even during those mentioned maintenance cycles by providing free on loan machines to replace those during the maintenance period. of our clients cup after cup. 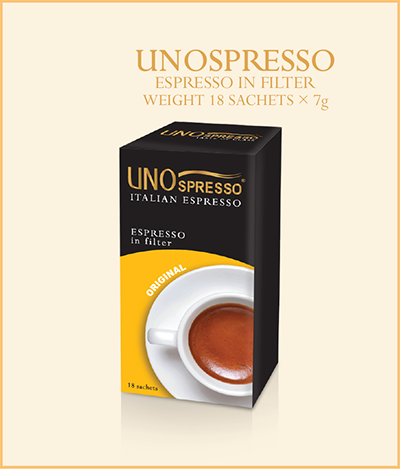 Each espresso pod has 7 grams of rich and freshly ground coffee packaged in special wrappings to seal out any oxygen and thus preserving the exquisite aroma of a true Italian espresso. These pods are packaged in boxes of 18 pods, or 50 pods as a complete serving set, or for large consumptions a box of 150 pods. The production plan at our factories is extremely delicate and finely set. These are carefully placed to constantly deliver to our clients the freshest and tastiest espresso with an aroma and taste that is so attractive it will guarantee complete delight and satisfaction. Many misconceptions relate filter coffee to American coffee or the more commonly known "Americano" where in actual fact there is a major difference in the preparations method and the taste of your coffee. 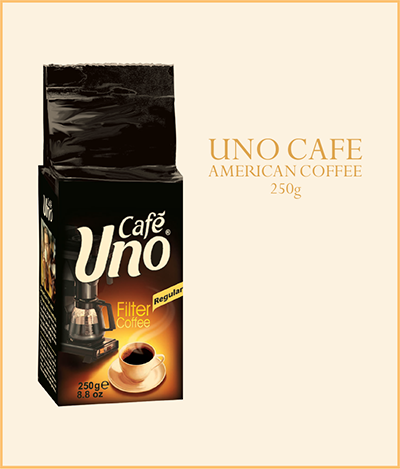 Uno® filter coffee is prepared using special machines which pass hot water through ground coffee in special paper filters and allowing the rich oils and flavor essences to drip into your coffee cup. 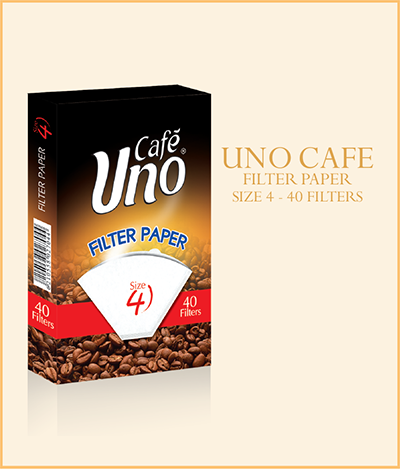 Uno® filter coffee comes in a very convenient and efficient package of 250 grams, and to complete a full and easy service cycle you can purchase your very own paper filters from Uno® as well.